Kheer: Kheer is an Indian style rice pudding, traditionally made with rice, milk, cream, and sugar and is sometimes flavored with vanilla, nutmeg, jam and/or cinnamon. It can be made in two ways: in a saucepan or by baking in the oven. 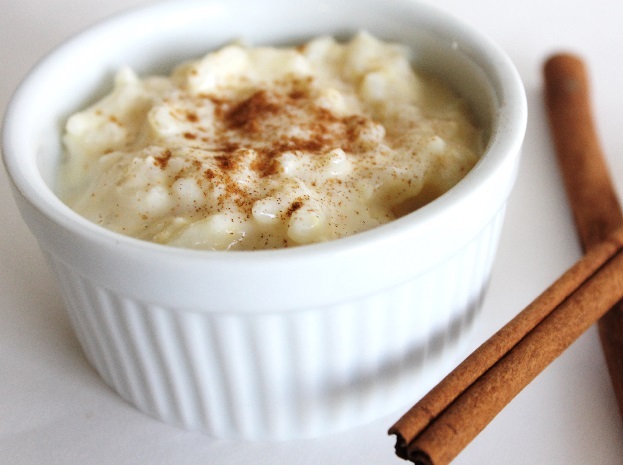 Kheer is one of the simplest, most satisfying desserts you can make in under half an hour. Soak the Raisins in a little bit of water to help puff them up. Heat the milk in a heavy bottomed pan, on medium heat. Add in the cooked rice. Grind the saffron strands with a little bit of sugar and add it to the milk. Keep stirring the pan and make sure milk does not burn at the bottom. Cook till it is of desired thickness. Once it reaches the desired thickness, add in the sugar. Add in the soaked raisins, pistachios and almonds. Kheer is ready to be served. Garnish kheer with a sprinkle of cinnamon powder. If you are making the rice just for the Kheer, over cook the rice just a little. This is a great recipe if you don’t have a lot of time but alternatively, you can add in raw rice and cook it in the milk and it tastes great. But be very careful and keep stirring frequently. If you like a smoother texture of rice in the kheer, just mash it lightly before adding it to the Milk. If you have any queries regarding the Kheer recipe, please leave a comment.